All parents know how toddlers are capable of ninja speed and stealth! If you think your kid has rollers for hands and knees at home, let your child shine at this year’s Baby Crawl Races – sponsored by Bambini Learning Group – at the Mom, Pop, & Tot Fair! Bribe, lure, and entice your baby to be the first over the finish line while the crowd cheers them on! Oh, and did we mention there are prizes for all participants? 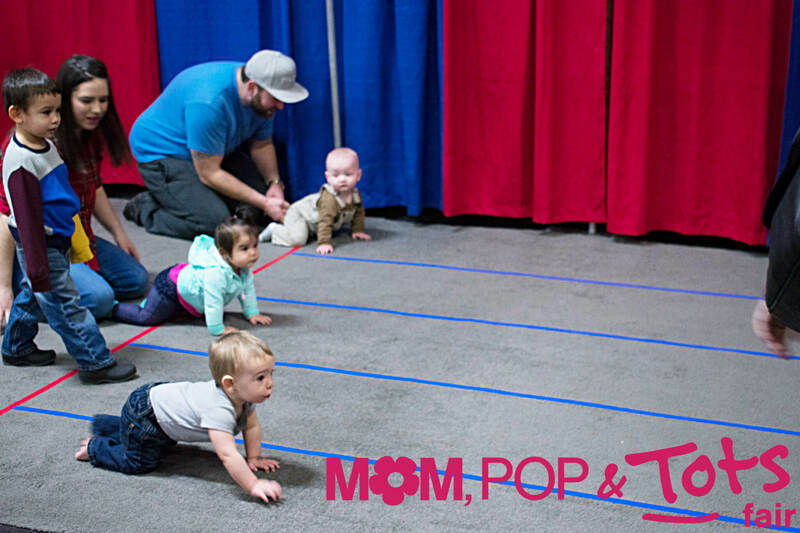 The Mom Pop & Tots Fair is happening March 9 & 10, 2019 at the Edmonton EXPO Centre, Hall A!